Noted as the first co-op in Atlanta, the Briar Hills condos enjoy the distinction of sitting within the esteemed Druid Hills Local Historic District. Identified by their late 1940s design principles, the condos and townhomes each enjoy unique floor plans, with slightly different variations in each home, creating distinctive designs that offer a range of square footage, baths and overall arrangement, constructed to appeal to a variety of lifestyle needs. While maintaining the guidelines imposed by the board, owners of the two- to three-bedroom townhomes and two-bedroom flats have generally updated the units over the years, now sporting more modernly updated kitchens and baths. Still, the modern mid-century architecture continues to shine, with a distinctive white painted brick exterior and lush landscaping. As well, homeowners enjoy the added convenience of living just a short walk away from neighborhood restaurants, coffee shops and retailers, plus a short distance from area parks and trails for outdoor recreation. 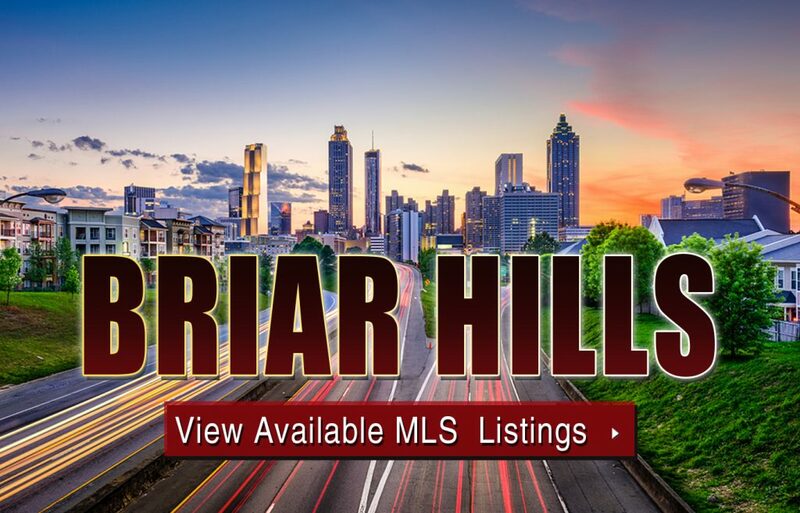 For more information about Briar Hills condos for sale in Atlanta, call The Zac Team at (404) 564-7272 to schedule a private tour of the building and any of its available units at your earliest convenience. Listed below are recently closed sales at Briar Hills. Whether you’re thinking about buying or selling a condo at Briar Hills, checking to see what other comparable properties have sold for in recent weeks and months provides helpful insight into current market conditions within the community. For more information about Briar Hills condos for sale or for a complete list of recent homes sold in the neighborhood, contact The Zac Team today! Can’t find what you’re looking for in Atlanta’s Briar Hills? Start browsing other Atlanta real estate for sale or give the Zac Team a call at (404) 564-7200 for help with your new home or condo search today!